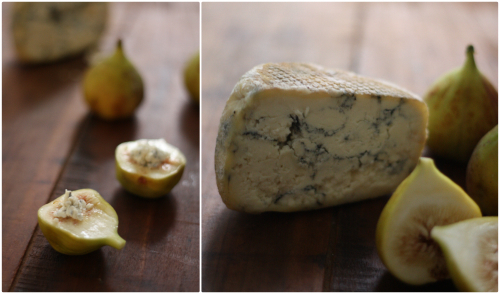 We've been mentioning over the past 2 weeks that we've gotten our hands on a practically endless supply of ripe figs to work with and enjoy fresh from the tree — our next door neighbor's tree that is. 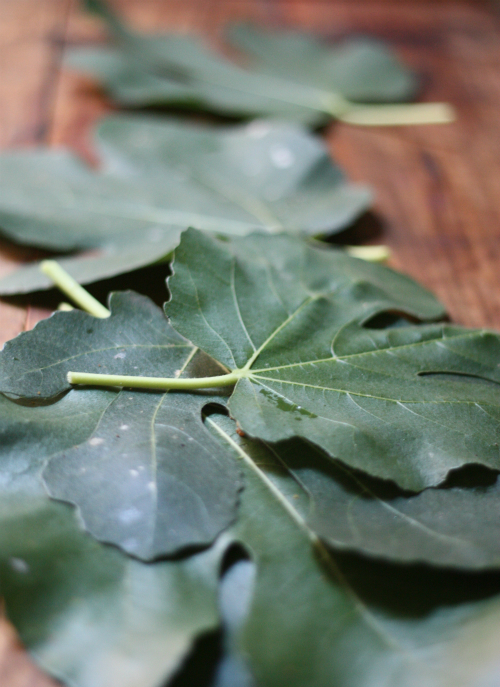 Today, we wanted to give all the details about this fig tree and why we feel like we've hit the jackpot! 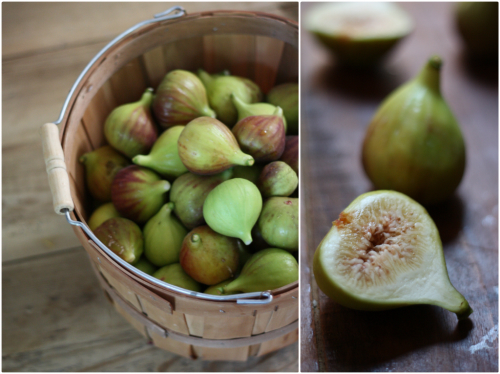 First thing's first — Tim and I both love figs. We love them fresh in ripe fruit form and we love almost every way there is to transform them into other delicious edible creations. When we lived in our old house we talked about getting and planting a fig tree over the spring, but we moved too soon to make that happen. 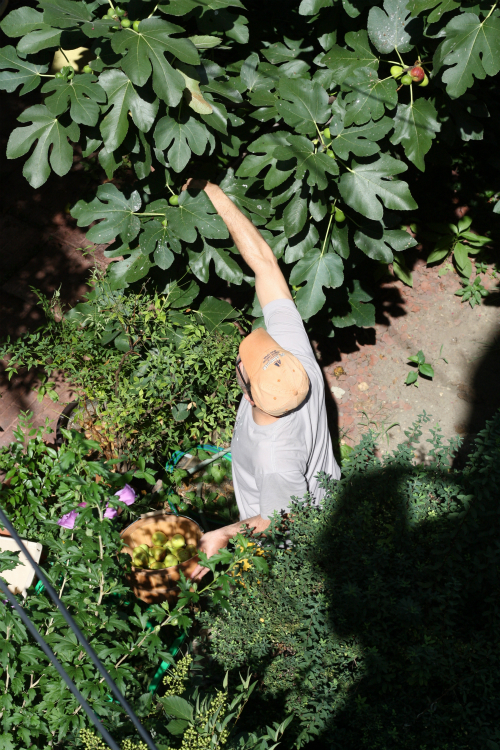 The funny thing is, almost every home we seriously considered buying either had a fig tree in the yard or in a nearby neighbor's yard — it was very strange how it kept happening. When we toured our current home, we just laughed when we saw the fig tree growing in the neighbor's yard as we stepped out back. Here in "The Fan" the houses are so close together, you get to know your neighbors really well, so we joked about how if this house became "the one" how we'd have to make fast friends with this neighbor. A few months after moving in we had "the talk" with our neighbor about how much we loved her tree, asking if she liked figs or used them each year. She was so awesome about it, actually saying that she doesn't even eat them or cook with them but they are more of a problem for her each year with the bugs, birds, and other creatures that take over her yard when the figs begin to ripen. She told us when the season hit right that we could come over and get as many as we wanted — that it would be a help to her to get them out of there. Can you beleive that!? Needless to say, ever since that conversation, we'd been keeping a watch on the tree and studying up on everything related to when the perfect time to pick figs is. It turns out there is quite the science to it. For example, you must pick figs when they are at their peak ripeness, as they will not continue to ripen off the the tree like other fruits. 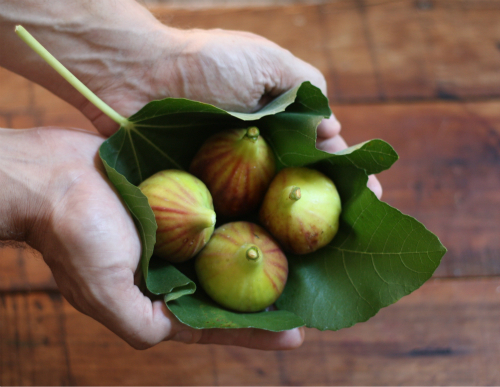 The figs begin to droop on their stem instead of sticking straight up. They change color from bright shiny green to shades of light green yellow and sometimes red or purple. A tiny hole opens up at the bottom of the fig. Birds and other animals are going to town on them! Honestly we got kind of crazy about watching the tree for the ripe figs after we heard stories about how it can happen overnight and if you don't get them at the right time that the birds and bugs will get all of them in a single day. Finally the morning came as I went out to water the plants on our top landing that I noticed the figs had "drooped" and it seemed like tons of large flying Japanese beetles were swarming around the tree. 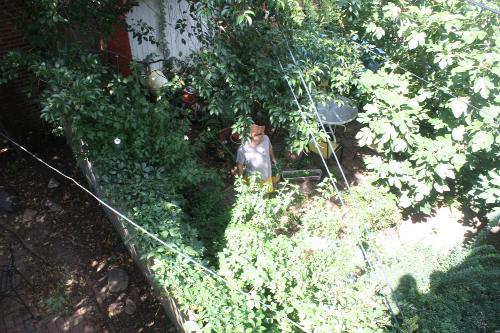 Tim grabbed a bucket and knocked on the neighbor's door, asking he could go pick them and that was that. As he was picking them he told her how we heard you had to get them on the day they were ripe, thinking we'd timed it just right. She then told us how this tree continues to produce figs all the way into the fall and in that moment we both felt a little silly for trying to time it so perfectly and at the same time we felt excited that we'll be able to use them throughout the autumn. 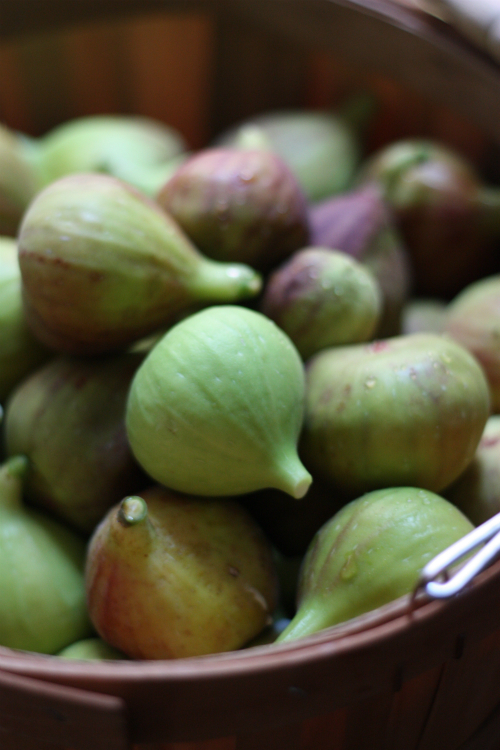 We're not exactly sure what type of figs these are, but after looking at a few guides we think they might be of the Kadota variety. So if you couldn't tell, we're pretty excited to be able to pick, eat, and cook with as many figs as we want while the season is right, and are even more excited at the thought of being able to do it every year from now on that we live in this house. 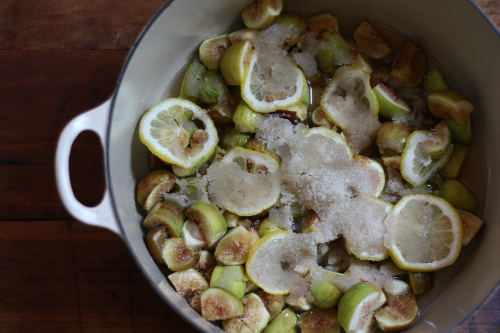 Now that we've given you all the details and back-story on our endless supply of figs, we look forward to sharing recipes we incorporate them into from here on out! 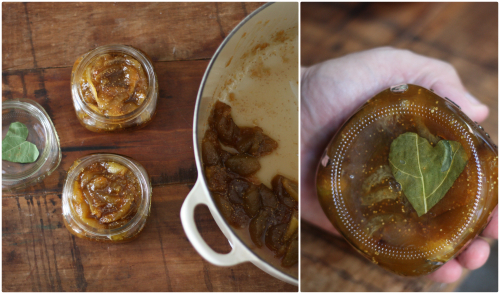 Making the preserves was a lot of fun because it used up a ton of the figs before they went bad and was something we felt we could do in order to "preserve" the taste of summer to savor into the winter and spring seasons when figs aren't in their prime. 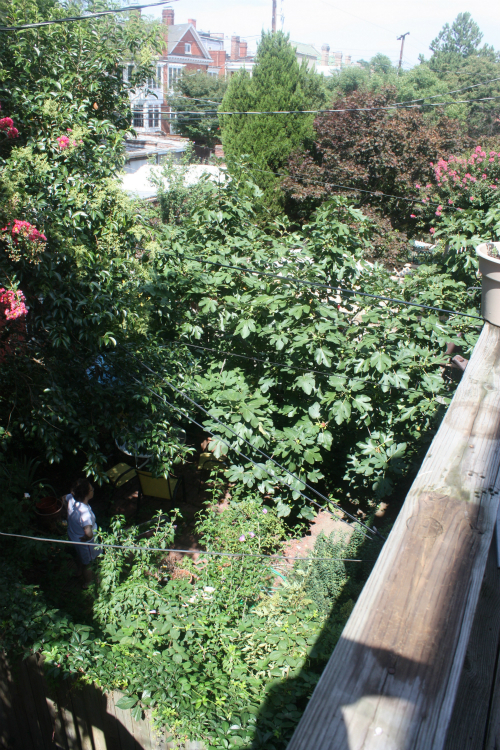 We also took one of the jars we made and gave it to our neighbor with the fig tree as a thank you. Find the full recipe here. They were warm, salty and sweet all in the same bite. Find the full recipe here. 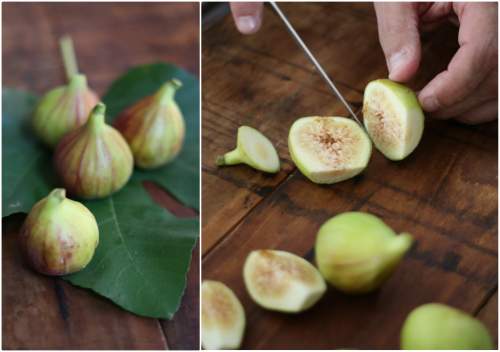 So tell us, are you a fan of figs? Do you have any favorite ways to eat them? We're at that sweet spot right now where we can try just about anything as they keep coming in! lovely, we just planted a baby fig tree, hopefully in some time (how much?) 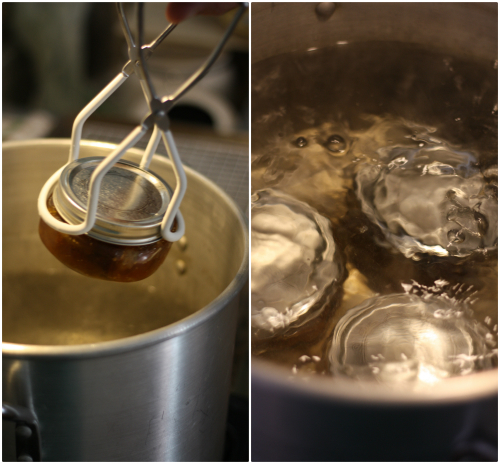 we will be able to make some nice preserves like yours! Oh yes! Keep us posted, we are so curious how to get one going from a small tree. We feel like we lucked out too! 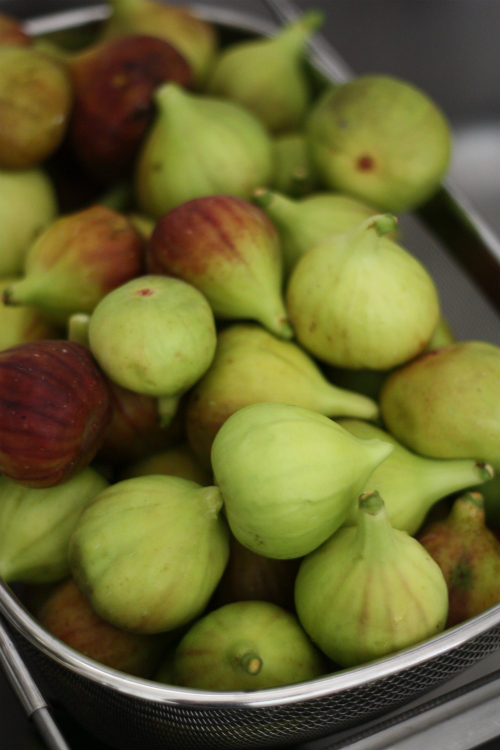 It's definitely fig season over here! Discovered a new favourite last night. Yesterday I noticed that some of the figs on our tiny new potted tree (which was groaning under the weight of about 20 figs) were 'doing the droop'. For dessert I roasted them (cut in half) in a little butter with some freshly grated nutmeg, and we ate them with double-thick cream and a tiny drizzle of honey. Somehow the roasting brought out the lovely red juices. Ambrosia! Hahaha, "doing the droop" Love it! 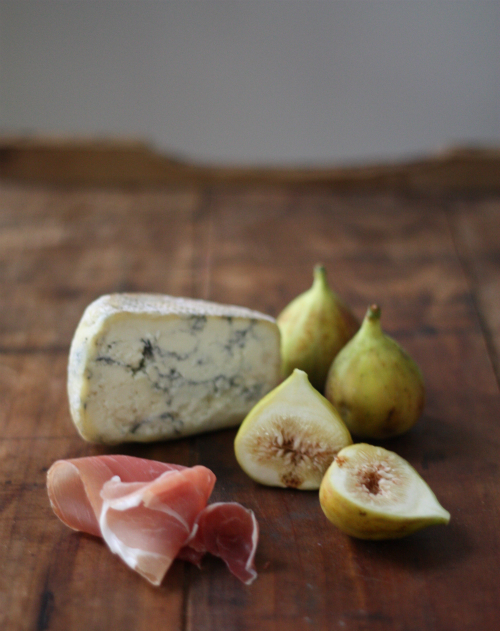 Wow, your creamy fig dessert sounds amazing....getting us thinking! Discovered this morning how lovely fig jam is with BACON!! Kathy! Reading this comment inspired me to put some of the fig preserves on a weekend bacon/egg sandwich. SO good! I have probably been living in a cave, because it's the first time I see your blog, and it looks like I have been missing something good. Figs. I think they are a gift from heaven. 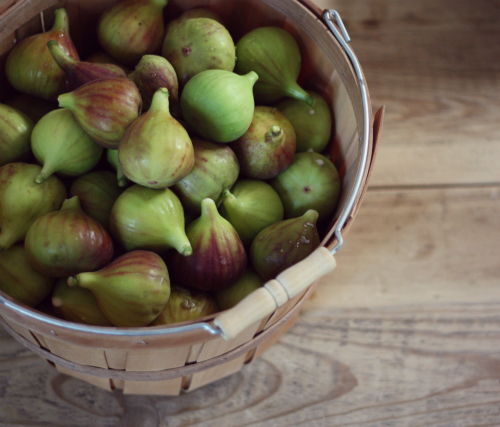 I live in the country and we have several fig trees, and the more I eat them the more I want. and they are so versatile! oh, and I love your dogs. Bobbi thanks so much for your kind words! So happy you are here and reading along! I love figs! 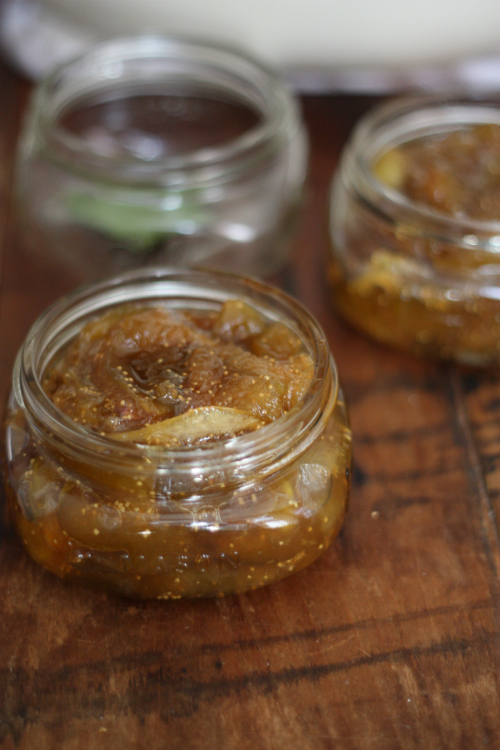 We had two trees in the backyard growing up, and mum always made the best fig jam! Unfortunately those trees are now in heaven, several floods went over them and they weren't the strongest shape, plus I think borers got to them :( you've inspired me to start looking for somewhere at our new farm to put a couple of trees! 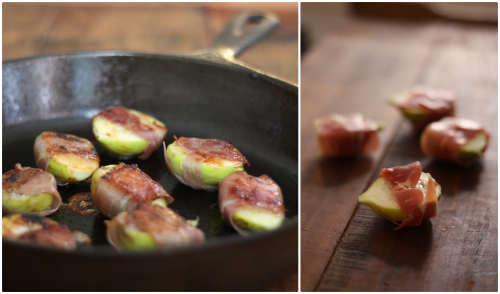 We've definitely got the space for them, and how I'd love to be able to eat my own fresh home grown figs! Aw so sorry to hear about the fig trees but hope you are able to plant new ones!